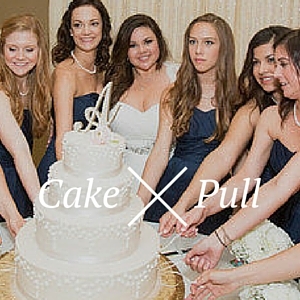 Have you ever thought about how many signs are needed at a wedding? Think about it and you’ll soon realize that there are a long list of signs needed throughout the day. And, unlike most wedding decor which can be re-used for another wedding, most signs are customized specifically for your individual wedding. Phew! Did I miss any? If you choose the custom signage route, the above basic (but long) list is guaranteed to put a damper on your wedding day budget. So, rather than blowing a lot of cash on things you won’t be able to use in the future, or will most likely end up in a landfill, I am all for promoting the use of DIY chalkboards! One type of wedding decor I can definitely appreciate is the type that can be reused after a wedding. Chalkboard signs are a great example – they can come in all different shapes, sizes, and looks & feels. Whatsmore, they can be up-cycled from junk or recycled to be used again within the home, office or even business long after the wedding. Normally I wouldn’t be attuned to looking for chalkboard signs. But, its funny how items seem to jump out at you when you are looking for them! I bet there are giant chalkboard signs around your town as well, though perhaps you’ve overlooked their presence. I’ve been traveling throughout Europe for awhile. Below are a couple examples that I recently stumped upon in Budapest and couldn’t resist snapping a photo. After all, who doesn’t love a real world giant chalkboard! Customize chalkboards all you want. Don’t worry about making mistakes as you can erase any information afterwards, and use the chalkboards again and again. And that is why chalkboard signs are so fantastic! 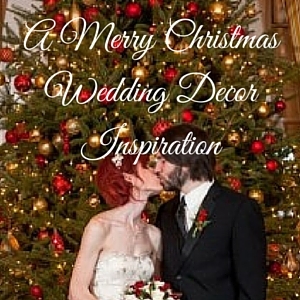 A few years ago we invited Lace and Likes to show us how to DIY your very own wedding menu board. 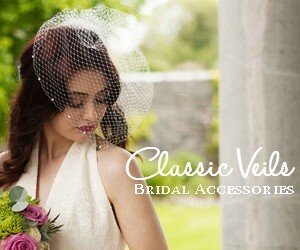 They used to feature beautiful weddings, but have now transitioned to event designers and art directors. Without further ado, here is Lace and Likes. “Hello everyone! 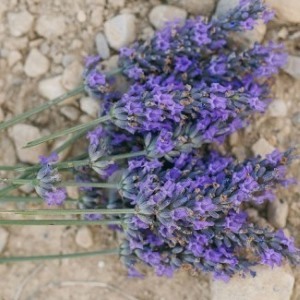 I am so so happy to get to guest post for Love and Lavender. I’ve got a simple and fun DIY project for you today. First, I picked up some plywood at home depot and had them cut it according to my measurements needed. Tip: If you would rather make smaller chalkboard signs rather than one huge one, buy one sheet of plywood and cut it into a whole bunch of smaller sizes. This will be a lot cheaper than buying pre-cut pieces. Give your plywood board a gentle once over with medium grit sand paper. You will also want to do this after every paint coat that you do. It will give the final product a smooth chalkboard surface. If you are creating a chalkboard out of metal, plastic or glass, the sanding step is not necessary. Next apply a primer coat. I purchased a spray paint primer and applied two coats in a grey color. 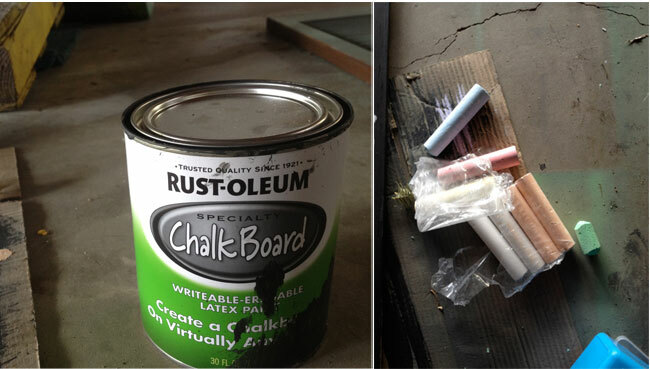 Since the chalkboard paint is black, its best to go with a grey primer to prep the wood for a dark colored paint. Next, I applied two coats of chalkboard paint to each of my two boards using a paint roller. You can use a paint brush, but I find they leave too many visible (hair) lines. Paint rollers leave a perfect smooth textured. You will need to do 2-5 coats depending on the surface. Remember to sand in between coats. Although it will be tempting to draw on it the minute it seems dry, do make sure to leave it to sit for at least 72 hours. Tip: Remember to really shake up your chalkboard paint before opening it, I learned that the hard way! And between each coat store your roller in a plastic bag and so that the rollers doesn’t dry out. Once your final coat of chalkboard paint has dried, you will want to prime your creation. For this step all you need to do is take a piece of chalk and rub it all over the board. Then take a dry, clean cloth and wipe the board down. This will take away the stark black finish and ensure a long writing life for your fantastic DIY chalkboard. Time to bust out your amazing calligraphy skills, or get a friend to do it! Tip: If you decide to use old school chalk (as opposed to chalk pens) to write out your board message, keep a cup of water beside you and wet your chalk before writing anything. It allows the chalk to go on much smoother, brighter, thicker and allows more freedom to do different fonts/calligraphy and make your signage look beautiful. Also, if you mess up, wet a rag and wipe it off really well, then use another rag to dry it off really well. This insures less smudging/streaky chalk marks. If you love the idea of having rustic chalkboard wedding decor, make sure to check out our massive post on Chalkboard Wedding Placement Ideas. 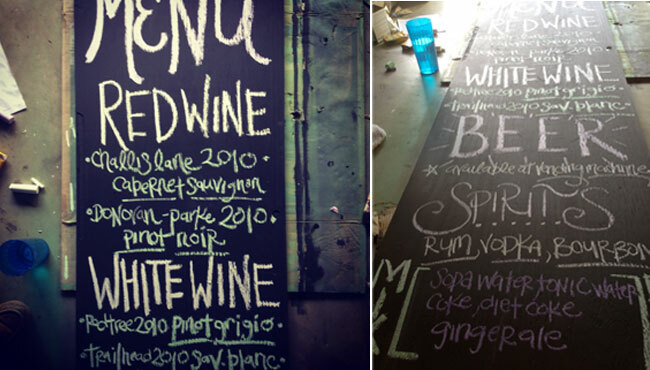 20 fantastic chalkboard placement ideas for around your wedding venue!